Two recently collected specimens of the Late Cretaceous pterosaurNyctosaurus differ from all previously known specimens in the possession of a large branching cranial crest. The crest extends upward and backward from the posterior skull roof and is nearly three times the length of the skull proper. Despite the large crest, the specimens do not differ significantly in morphology from previously known specimens ofNyctosaurus, and do not seem to represent a new species ofNyctosaurus. The specimens suggest that the cranial crest was developed late in ontogeny, which is consistent with the interpretation of pterosaur cranial crests as intraspecific display structures. Zwei neue Exemplare des FlugsauriersNyctosaurus unterscheiden sich von anderen Exemplaren, weil sie einen hohen, abzweigenden Schädelkamm haben. Der Schädelkamm dehnt sich aufwärts und rückwärts von dem hinteren Schädeldach und ist dreimal so lang wie der Schädel. 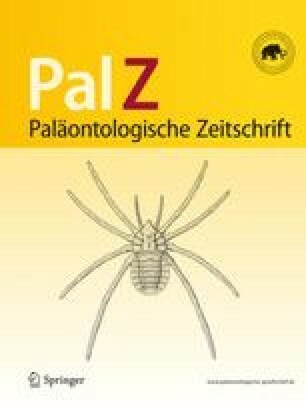 Trotz des Schädelkamms unterscheiden sich die neuen Exemplare in der wichtigen Morphologie nicht von anderen Exemplaren. Demnach sind sie keine neue Art. Wahrscheinlich entwickelte sich der Schädelkamm nur, als das Individuum ein fast ausgewachsenes Tier war. Das stimmt mit der Vermutung überein, dass der Schädelkamm ein intraspezifisches Zeigmerkmal ist. 1.College of ChiropracticUniversity of BridgeportBridgeportU.S.A.